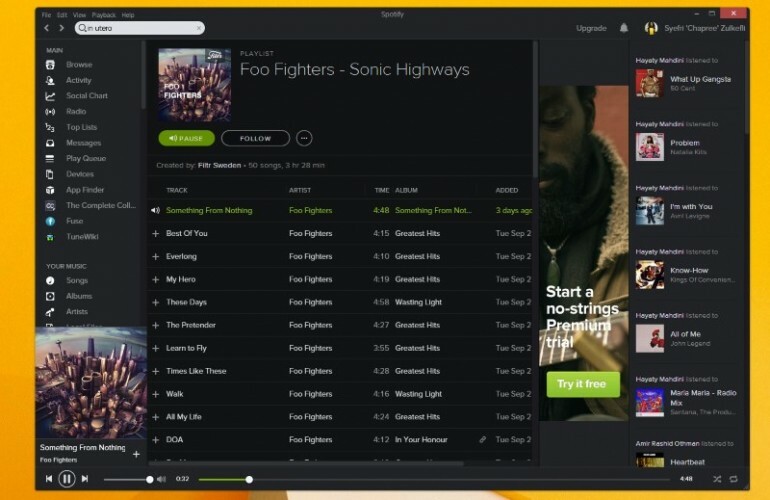 Spotify is reportedly planning to launch a new video streaming service to compete with the likes of Youtube. There are no concrete details about what the company is doing, but it has said that it will hold a media event later this month in New York. The Wall Street Journal says that Spotify has approached multi-channel content creators that specialise in making videos for Youtube. The goal was to acquire that content for its own video streaming service, as well as developing new content for Spotify. The Swedish company has also been said to have approached well-known traditional media companies. Getting traction in a market that is dominated by Youtube will be difficult for Spotify, despite the service already serving some 60 million users. Many other video streaming services have been popping up to attempt to claim a piece of the internet, and only those which have managed to fill a niche not serviced by Youtube have done well. A good example would be Twitch, which was recently acquired by Amazon. Twitch succeeded by offering live streaming for gamers, a feature that was not previously available on Youtube. Music videos would be the logical first step for Spotify to take, which would synergise with its current music streaming offerings. However, considering how recording studios have been complaining that Spotify does not do enough to monetise its users, this might be an uphill battle for the company. Spotify has been growing and expanding lately, with the most recent move to partner with PlayStation to replace PlayStation Music. That particular move was welcomed by most of the gaming community, and it looks like the company is looking to keep expanding its reach.